The 19-year-old didn't pay a $100 cab fare after being driven 30 miles. An eccentric Ohio judge told a scofflaw teen to take a hike -- and walk 30 miles for stiffing a cabbie for a ride of the same length or face 30 days in the slammer. 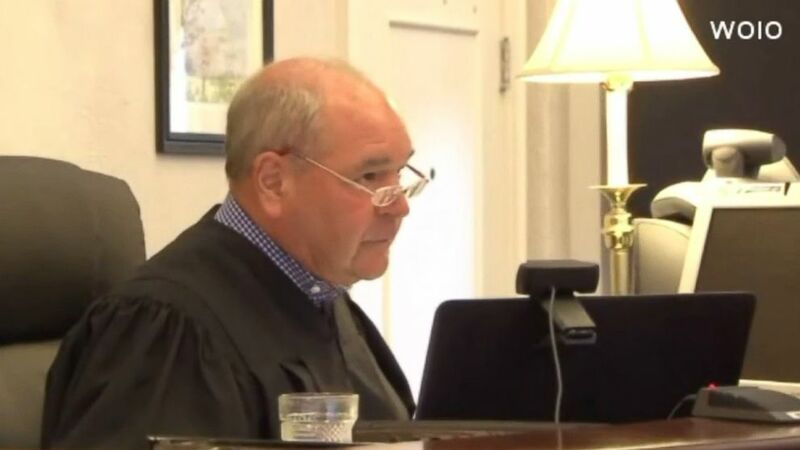 Painesville Judge Michael Cicconetti, known for his unusual punishments, meted out the sentence to Victoria Bascom, 19, after she was found guilty of theft for not paying her cab fare of $100, Ciconnetti's secretary Diane Armstrong told ABC News today. The victim drove Bascom, who was charged with theft, about 30 miles from Cleveland to Painesville this past February, but she left the cab without paying, Armstrong added. Bascom said she completed part of the walk, which had to be done in 48 hours, this past weekend at the Lake County fair grounds, where ABC News affiliate WEWS caught up with her. (WOIO) Lake County Judge Michael Cicconetti let Victoria Bascom choose her sentence, 60 days in jail or walk for the distance of the stolen cab ride, 30 miles. "I've never been to jail and I don't want to go to jail," Bascom told WEWS. "I’m kind of upset about this sentence, you know, 'cause I’m thinking I was going to go in and just have to pay a fine -- I guess only a 100 dollars or whatever. "I almost ended up getting jail time, so I guess I’m kind of lucky he gave me this option." After seeing that Bascom was likely not going to finish walking 30 miles in less than 48 hours because she walked in an grassy, muddy area of the grounds rather than the asphalt around it, Cicconetti reduced the sentence to 20 miles, he told ABC News today. (WEWS) Victoria Bascom was sentenced to walk 30 miles after she stiffed a cab driver. Additionally, Bascom will be on probation for the next four months, and she has to pay $100 restitution to the driver she stiffed, Ciconnetti said. The Painesville judge has been known for handing down creative alternatives to jail time, such as spending a night in the woods -- the alternative sentence he gave to a woman who abandoned 35 kittens there. "I typically use these creative alternative sentences for younger people who are more impressionable, at least somewhat remorseful and are usually first-time offenders," Cinconetti added. "The philosophy behind it that whatever punishment they choose it's going to prevent them from coming back to court on another charge."